One of the leading causes of vision loss in people age 60 and older is age-related macular degeneration (AMD), which affects millions of Americans. Essentially, AMD disease destroys your central vision, which is responsible for sharp vision and the ability to see objects clearly. This type of vision is vital for driving a vehicle and reading road signs or the newspaper. 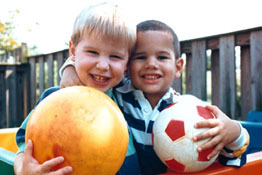 People with AMD have difficulty recognizing faces because they can’t see distinct features, yet the disease does not affect the peripheral vision. Without the ability to see fine detail, many people suffer from a serious lifestyle adjustment. Fortunately, the disease is not painful. AMD is classified into two categories: wet and dry. Continue reading for a brief description of each and possible treatments. Both types of AMD, wet and dry, cause cell death in the macula and affect vision. One of the common early signs of wet AMD is blurred vision; for example, straight lines appear wavy. It occurs when atypical blood vessels grow underneath the macula. Often times, these new and abnormal blood vessels leak fluid and blood. Wet AMD is a fast-moving disease and damages the macula rapidly. Fortunately, this more severe AMD accounts for only 10% of all cases. While everyone who has wet AMD also had dry AMD first, the opposite is not true. Dry AMD doesn’t always turn into the more advanced wet version. Dry AMD is a common result of aging due to the natural thinning of the macula. Light sensitive cells gradually deteriorate. Early signs of dry AMD include the need for additional lighting to read. Some people experience a small blank spot in the middle of their vision. The most common sign of dry AMD is a change in the appearance of drusen, which are miniscule white or yellow deposits. Drusen are not uncommon in people in their 60s, and their presence does not actually cause loss of vision. In cases where drusen are more prevalent and larger, there is an increased risk of the development of advanced dry and wet AMD. Your eye physician specialist will determine the proper course of treatment based on your specific circumstances. As with most diseases, the earlier it is caught, the better the end result –less loss of vision. Though we may often take our eyes for granted, it is important to have a comprehensive eye exam regularly as we get older because receiving treatment for early AMD can slow its effects. Certainly, nobody wants to think about going blind later in life, but AMD currently affects an estimated 1.8 million Americans over 40. According to the CDC, the disease is more often found in Caucasians, and it accounts for 54% of all cases of blindness in older white adults. The CDC predicts the number of cases of early AMD will reach nearly 3 million by 2020, and by the year 2050, will double from its currently estimated 1.8 million Americans. 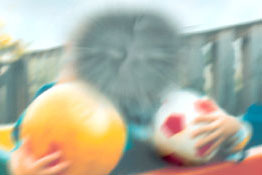 If you or someone you know is experiencing blurred vision, contact an eye physician or specialist. The diagnosis of AMD is simple and straightforward. If you have AMD, the longer you wait to see a professional and get treatment, the more vision you will lose.